1 What To Look For When Buying A Slow Cooker? If you have come across the term “slow cooker” for the first time, you might be curious to know why anyone would buy a slow cooker in this fast-paced world. Well, people that are always excited to enjoy most delicious recipes at home prefer to buy slow cookers. Why? Because it is well proven that when dishes are prepared slowly on low heat, they naturally lead to best taste. In short, a slow cooker is the secret weapon of an expert chef. It ensures year-round comfort while serving the family with the most amazing recipes. Moreover, the best part is that the latest slow cookers are highly automated, and they leave no clean-up task behind. 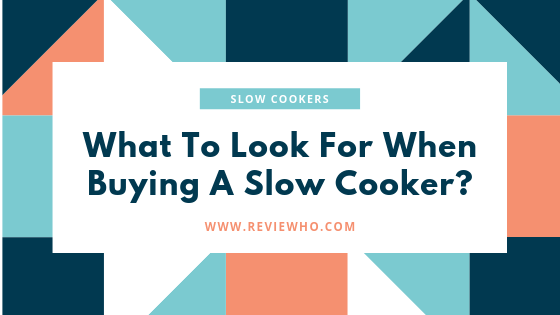 As the market is loaded with a wide range of top rated slow cooker brands; buyers may get confused while picking the best product for their home. Don’t worry; this guide will assist you better to bring the most efficient cooker to your home. What To Look For When Buying A Slow Cooker? The very first thing you need to consider is the overall cooking capacity of the cooker. Are you the one who cook dinners for many days during busy schedules and stock up the stews and soups in the freezer? In this case, you may need to look for a large slow cooker; somewhere in the range of 6 to 10 quart. On the other side, if you love to prepare healthy and fresh dinner every day for your family, a medium size cooker with 4 to the 6-quart range will be the best choice. If you leave alone, away from home at the job site, a tiny 1 to 2.5 quarts slow cooker is enough to meet your routine cooking needs. Clip-tight lids that make the cooker suitable for travel hours. Gasket lids that are capable enough to prevent messy spills during busy days. Programmable features that allow users to set their cooking timers in advance. It means you can have freshly cooked rice at home right when you enter after tiring office day. The temperature probes are added to notify users when the food is ready. The most amazing addition to the slow cooker features is the Wi-Fi ability; it allows users to control the unit from remote locations by using a phone app. Another important addition to slow cooker designs is their digital displays. How can we forget this important point in today’s busy lifestyle? No one has time to mess with the cleaning after cooking; people need easy to clean solutions to lead an easy lifestyle. While buying a slow cooker, you must look for a product that is dishwasher safe. Experts also advise looking for a crockpot with touch pad controls because the button-based designs need regular cleaning of those buttons and knobs. Also, make sure that lid locks are sturdy enough and do not cause food spilling during meal transportation to parties and potlucks. Well, this part is also important for every buyer. It is good to set your budget first and then move out to find the best programmable slow cooker within that limit. But at the same time, there is no point in compromising quality for the price. Once you buy a good quality slow cooker for home, it will be easier to enjoy comfortable and trouble-free cooking hours for years ahead. Moreover, the top-notch designs also demand the least repair and maintenance. They are efficient to make your routines easy. Okay It is time to know about the top-ranked slow cookers in the market. 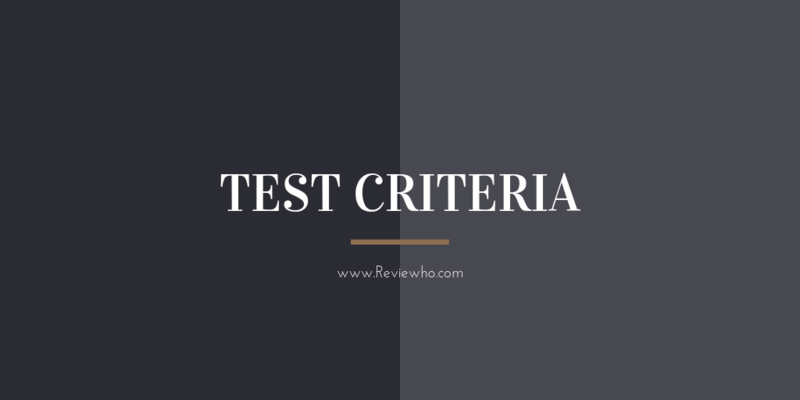 The list below is prepared to update your knowledge base and ease your purchase decision to pick the most efficient one for your home. The Crock-Pot SCCPVL610 slow cooker is designed with a maximum capacity of 6 quarts; it is enough to serve a family of 7 members with a big appetite. People love it more due to its countdown timer with a digital display that allows users to set the automatic cooking timing for next 20 hours. Once the cooking timer expires, the cooker automatically turns to warm mode. It means you can always enjoy fresh and hot food from this cooker. One of the most amazing features of this top rated crock pot is the digital programmable timer that makes it more suitable for the busy homemakers. One can set the cooking process countdown anywhere between 30 minutes to 24 hours with low or high cooking settings. It can also keep your food hot for several hours while ensuring energy efficient service to save more on your monthly bills. Crock Pot slow cooker is rated high for its portability that sets it apart from most other competitors in the market. The seal able clampdown type gasket is capable enough to prevent spills even when you transport the cooked dishes to other locations. Moreover, the inner removable stoneware with oval shape makes it more presentable outdoors as well. For most of the homemakers, the cleaning task is most complicated and time-consuming, so they always need cookers with dishwasher friendly materials. Well, this Crock Pot unit can make your routines easier as the lid can be washed in the dishwasher or by hand as well. The crock pot is one of the most advanced slow cooker units in the market that allows users to customize the cooking temperature to high and low settings as per need. Beginners find it simple to use as there are two simple settings to adjust temperature; no need to mess with multiple buttons or indicators. Manufacturers have also added the side handles to this top rated slow cooker with a transparent lid that enriches the cooking experience with ease. There is no need to open the lid to check the progress of your food; the transparent lid keeps on showing the status all the time. Moreover, the side handles make it easy to move without burning the hands. We must say that even kids in your house can handle this cooker with ease and experiment with delicious dishes every day. Easy to operate due to its few setting options. Large 6- Quart stoneware pot. Safe to use and carry thanks to the sturdy handles. Spill-free trips to ensure any food spill when carrying. Does not enable you to program it, more than setting the timer. Here is another popular product in the market with multi cooker features, digital timers, and many more advanced capabilities. Its extra-low simmer settings allow users to prepare the most delicious and terrific beef stew dishes. You will be happy to hear that this versatile device can be used as a steamer, skillet, and electric roaster as well. With all such amazing features, this 6-quart slow cooker has become more popular among buyers. Below we have highlighted some of its interesting features. This all in one slow cooker is designed with non-stick coating, and the high-quality aluminum finish ensures efficient service for the long run. The product has enough space to prepare food for a larger family, and the best thing to know is that it is dishwasher safe as well. Hence, users will find it easy to handle in routines. In order to lead fuss-free usage, this multicooker unit is loaded with several digital controls. There are dedicated buttons for every function so even beginners can cook food with ease. There is no need to worry about the adequacy of settings; the specific On-Off buttons make things easier at every stage. You can immediately switch between Saute/Brown to steamer settings and enjoy fast cooking experience. It is easier to adjust settings with its backlit LCD display unit that provides exact details about all changes you make to the system. The display is divided into to sections where one is for the timer that works for 24 hours of advanced cooking service. Whereas other is for temperature setting to enjoy the custom cooking experience with this best rated slow cooker. You will be happy to hear that this product is designed with a tempered glass lid that is dishwasher safe as well. The best thing to know about this highly efficient unit is that the lid can withstand extreme heat exposures as well. At the same time, transparent design allows easy access to peep inside to check your dishes. You can monitor the process without opening the lid again and again. This product is designed to serve the buyers with trouble-free cooking experience. That is why the body of this cooking pot is equipped with sturdy and thick plastic handles. It allows beginners to enjoy the safe cooking experience without burning their hands. Simple to use, no complicated programming needed. Heats up to 500 F which make it one of the best slow cooker for browning and searing. Exterior surface stay considerably cooler compared with other models. Stable and non slippery thank to the quad rubber feet. Take a huge amount of space( but its common draw back with almost all slow cookers. No delay timer or cloak. Elite Gourmet is another popular name in the slow cooker’s industry. This unit offers an extremely satisfying cooking experience to the users with its adjustable temperature settings for dips, stews, sauces, and entrees as well. This tiny, 1.5 quarts cooker is a good choice for small families or those who live alone in the tiny apartments. The overall design and the easy to adjust knobs make it suitable for busy work hours. Many users have tried this mini slow cooker until now, and it has gained several positive feed backs from the market. One of the best things to know for the busy homemakers is that this cooker is designed with a highly study glass lid that is made up of tempered glass. It’s cool touch knobs make sure that all the ingredients stay moist and tender as well. Moreover, the lid can be washed in the dishwasher to save time after cooking. People that are interested in taking their slow cooker outdoors for the parties and events may find it perfect choice for their needs. Manufacturers have designed this cooker with a ceramic insert pot that is compact enough and can be easily moved in and out. It is enough to carry food for the small family during outdoor picnic hours. This insert pot is easier to clean and manage as well. There is a simple, dedicated knob for temperature settings that allow easy adjustment of various high and low ranges as per need. There are four positions for the knob movement; you can set it at warm, high, low or switch to Off position. The indicator light above the temperature settings knob makes it easier to get direct indications about temperature settings. With this, your food can stay warmer for a longer duration, and you can enjoy delicious taste even after several hours of cooking. It is easier to use this mini slow cooker with its cool touch handles that do not get hot even under extreme temperature cooking. It means you can easily carry the unit to other locations to enjoy delicious food with friends or family. With this cooker, you can prepare tasty desserts, soups, sauces, and entrees as well. The portable design makes it a more reliable choice for every modern home. Perfect for users who want to slow cook in small scale. Does not come with digital timer. Exterior surface can get really hot. No alert bells or whistles. If you are looking for a trustworthy companion to ease your cooking routines during busy office days, this Ninja Auto-iQ is the best choice for your home. It is loaded with lots of amazing features that make its functionality truly satisfying. Experts reveal that the automated programs loaded to this advanced slow cooker unit make it suitable for the expert chefs and the beginners as well. The most amazing thing to know about this programmable slow cooker is that it allows you to prepare delicious food in just a few minutes. The one pot cooking has never been so easier before this unit. Simply add all your ingredients and press the button, the food will be ready in just 30 minutes or even less. Soon you can fill your stomach and move out to attend the meetings at the office. This product is manufactured with layered bowls that ensure delicious cooking with higher perfection. It extracts maximum proteins from the ingredients and builds multiple layers of flavors to give you a more pleasant experience. It means you can impress your guests without even making additional efforts in the kitchen. Ninja Auto-iQ is designed with worry-free temperature settings that ensure easy handling of temperature variation to speed up or slow down the cooking process. You can easily adjust the temp range depending upon the type of recipe. It is possible to control the temperature settings for baking anywhere between 250 degrees to 425 degrees. With this, you can become a baking expert at home and prepare the delicious collections of cakes, bread and many more. Note that traditional cookers make use of only one type of heat to prepare a meal inside, but this advanced design ensures three-way heating to deliver the best flavors. It includes steam heat, bottom heat, and side heat as well. You can expect the best food preparation experience with this pot. You will be amazed to know that this cooker is loaded with 80+ programmed recipes. All that you need to do is select the recipe, pour the ingredients into the cooker, and soon it will prepare your dish. Even beginners can prepare most-tasty meals at home. Hence, it becomes a must-have a slow cooker for almost every modern home. Easy to use digital interface. Versatile and high in quality. The least travel-friendly on our list. Last but not least, Hamilton Beach Set 'n Forget 33967 is also gaining huge popularity in the market for its unique design and highly efficient performance. You can enjoy the satisfactory cooking experience with its advanced features and flexible settings. It can accommodate turkeys breast up to 6-7 pounds; it means a medium size family can easily enjoy the delicious food altogether. This is the most versatile solution for all those who love to consume meat every day at home. People love this unit more because it is simple to use and always ensure foolproof results. Once you have this slow cooker at home, you can bring a smile on the face of every family member with the tender, moist and delicious cooking experience. Its advanced design saves much time and energy without compromising for the taste of the food. Anyone can use this cooker with ease to prepare the best foodstuff. With Hamilton Beach Set 'n Forget 33967 slow cooker, it is easier to prepare gravy for the dishes. It is possible to shimmer the gravy in the roaster oven pan without any trouble. There is no need to spend much of your precious time on preparing gravy; this crockpot can make everything ready for you in a while. You will be happy to hear that the stoneware and tempered glass lid; both are dishwasher safe. Hence, the entire unit is easier to clean and manage. You can use this product to prepare serves, roasts, slow cooks and roaster bakes as well. The simple yet versatile settings make it the best choice for every home. Also, the stainless-steel exterior is the best choice to complement modern home décor. Here is another amazing feature of Hamilton Beach Set 'n Forget 33967. The keep warm setting of this slow cooker can maintain the delicious taste of recipes without letting them cool down for several hours. The setting can be easily adjusted from temperature dial on the product. Features a temperature probe so you can check your food while cooking it. Ideal for traveling since it has a sturdy handles and lid with quality gasket so it eliminate any food spills. Not easy to program, especially for first time slow cooker users. You must have gone through the entire guide and probably, it helped you to gain enough knowledge about slow cookers. It must be now easier to place an order for the best cooker online. Prefer to check products on different stores and compare the price ranges. Pick the most suitable one but without compromising for the features. Once you receive the best slow cooker at your doorstep, you can start enjoying delicious recipes with family. Slow cooking is a new technique that is being used worldwide nowadays. From cooking daily meals to party recipes, it is being used for all the purposes. But it is important for you to know what should and should not be cooked in the slow cookers. You need to go for the chicken stocks and veggies when opting for the slow cooking. Ingredients like dairy products are a big no to be kept in the slow cooker. Also, make sure not to put the heat conducting liquids in the slow cookers. You also should put a check on the amount of water that goes in the slow cooker. Is it safe to use a slow cooker? Well, regarding the safety of these cookers, you need not to worry as it is extremely safe to use this cooking technique. A typical slow cooker will cook the meal at a temperature set between 170 to 280 degrees. The process might take a few hours, and in this time span the cooker faces, direct heat, steam and long cooking hours as well. This results in the destruction of bacteria that might be present in the food items. Slow cookers are surely the easiest and most convenient method to cook; all you have to do is to add in the ingredients and set the dial. After a few hours of processing, you will return to a fully cooked meal; whereas the rice cookers are designed for quick cooking. You can easily prepare any dish in it in a lot less time than the slow cookers. So, it is better for you to choose the cooker on the basis of your requirements because both of them use different techniques for cooking that is why we cannot draw a parallel between them. The slow cooker and pressure cooker has a slight difference between their cooking methods. These are size, energy consumption, cooking time and temperature differences that we are talking about. Pressure cooker cooks the food in a sealed steam environment in a few minutes of the time period. Even though some might think that slow cookers are not well suited for most of the cooking tasks, but these have the advantages of its own. The slow cooking extends the cooking time which allows the flavors to distribute around the food equally. The low temperature of the pans reduces the chances of food sticking down to the bottom. Also, tough meats are properly tenderized during this cooking method. It provides you a chance to use your stove top as well as the ovens for different purposes, and it is an excellent choice for cooking your holiday menu.